Pilots rarely survive small-plane crashes. I was piloting my family’s Cessna out of the Truckee airport near Lake Tahoe, California, on Labor Day Weekend nine years ago when the plane crashed. In an instant, my life changed. I became a paraplegic. “I Can Still Do It” is a quote that I find myself saying all the time, and with my long road to recovery, I am constantly surprised not only that I survived but what I can still do. 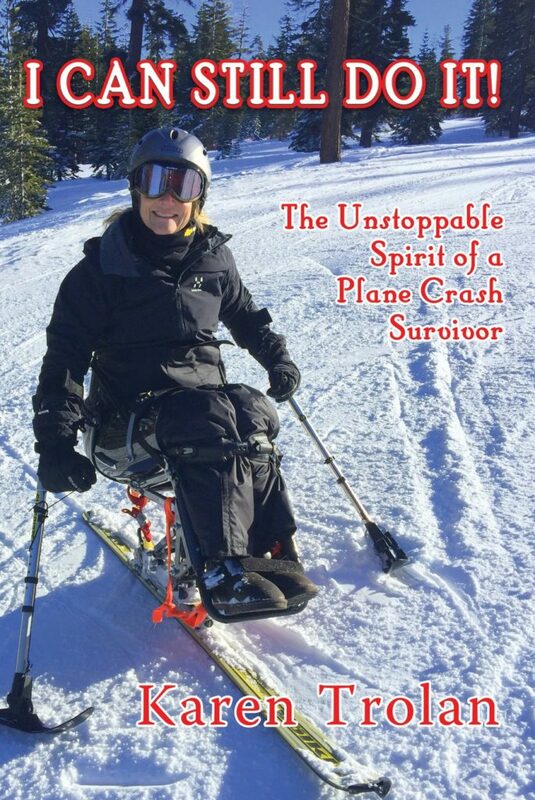 Originally, I was encouraged by friends, colleagues and caregivers to write a book about what I was going through. As the book took shape, I kept the path to the truth to help others become aware that we all have difficulties in our lives; it is how we respond and deal with the situations that show our character plus make us better, stronger people. Although this is a story about me, it really is a story about you, your friend, neighbor, or loved one. My hope is that you will understand how you can be supportive to them and if it is you, how you can push through any adversity! I found that “I can still do it” and so can you! You can order a personalized copy signed by Karen on this website!! Just email her after ordering and let her know who you would like it dedicated to.